Chamonix, France, hosted the Mont-Blanc Marathon last weekend. This event has a variety of races from a kids race to an 80k trail ultra. 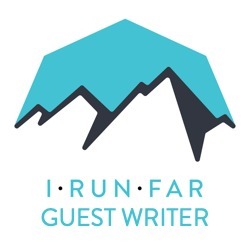 This year, three of those races, the Mont-Blanc Marathon, the Mont-Blanc 80k, and the Mont-Blanc Vertical KM, represented the quadrennial Skyrunning World Championships. The Mont-Blanc 80k started at 4 a.m. Friday, June 27. Contrary to the cold rainy weather of last year, it was a clear, sunny day. Later in the day, the temperature reached 86 degrees Fahrenheit at the bottom of the Chamonix valley. Luis Alberto Hernando was the leader of the men’s race all the day. Right after the first big climb to Brevent (8.5k/2,500 meters), he led by three minutes to François D’Haene and Mike Wolfe. His lead grew over the race, gradually. Five minutes at Le Buet (25.9k/1,330 meters), 10 minutes at Vallorcine (46.6k/1,260 meters) after the long hike in the snowy highlands. But the competition of a handful of talented runners from the world was not that easy. François D’Haene, last year’s winner, started to catch Luis from Les Bois (66.8k/1,083 meters). After a long uphill with a view of a glacier, François was just six minutes behind Luis. After a straight 6k, 1,000-meter downhill to Chamonix, Luis Alberto won the Mont-Blanc 80k and became the Skyrunning Ultra World Champion. François finished just three minutes after him. Third was Ben Duffus from Australia, and he did the smartest race of the day among the leaders. Ben started just behind the top 20 runners in the morning, and kept moving up. He was 23rd at Le Buet (25.9k), then 9th at Vallorcine (46.6k), fifth at Les Bois (66.8k), and third at Le Plan de l’Aiguille (77.7k), before the steep 6k descent to the finish. Clement Petitjean also managed a smart race, keeping his position and finishing fourth. Fifth was Philipp Reiter; he got injured in the middle of the race, but pushed hard. From sixth to 10th were Blake Hose, Aurelien Dunand-Pallaz, Mike Wolfe, Caine Warburton, and Sverre Slethaug who all finished close to each other. It was remarkable to see three Australian runners (Ben Duffus, Blake Hose, and Caine Warburton) in the top-10 men. Xavier Thevenard dropped early at La Flégère (16k). In the women’s race, Emelie Forsberg led the race all day, and Anna Frost followed her about five or 10 minutes all race. The two previous/current Skyrunning World Series champions put on a good race. Third woman was Magdalena Łączak from Poland. She was sixth at the 2012 UTMB and is a winner of many ultra races in eastern Europe. From fourth to 10th were Maud Gobert, last year’s winner Caroline Chaverot, Federica Boifava, Uxue Fraile, Fernanda Maciel, Li Dong, and Juliette Blanchet. Emelie Forsberg, Skyrunning Ultra World Champion. Núria Picas and Ruby Muir dropped at La Flégère (16k) and Col des Posettes (51.3k), respectively. The Mont-Blanc Vertical KM is 3.8k with 1,000 meters gain from Chamonix to Planpraz. Kilian Jornet and Laura Orgué won the men’s and women’s races in 34:18 and 41:29 respectively, becoming the Skyrunning Vertical World Champions. Kilian Jornet, Skyrunning Vertical World Champion. Laura Orgué, Skyrunning Vertical World Champion. After a sunny and warm Friday and Saturday, the Chamonix valley was forecasted to be hit by severe weather conditions on Sunday, heavy rain and low temperatures. On Saturday, the race organization announced an alternate course for the Mont-Blanc Marathon to avoid the high country and keep runners safe. The alternate course would not go up to Aiguilette des Possettes (24k/2,201 meters) but down to the valley. From La Flégère (36.9k), the course wouldn’t climb to Planpraz (2,016 meters) but instead traverse down to Chamonix to finish. At 7 a.m. on Sunday, June 29, the Mont-Blanc Marathon kicked off in Chamonix in a rain torrent. The race was led by small group of athletes from around the world including Zait Ait-Malek, Kilian Jornet, Aritz Agea, Michel Lanne, Longfei Yan, and Tom Owens. After they passed through Vallorcine (18k), Kilian started to lead the group, and Michel followed closely. On the way up to La Flégère, Kilian increased his speed so as to leave Michel behind. Kilian won the Marathon in 3:23, finishing in Chamonix hand in hand with Bruno Brunod, legendary mountain runner, Kilian’s hero, and the first Skyrunning World Champion in 1998. Michel Lanne kept his pace even in heavy rain and finished second, just two minutes after Kilian. The Mont-Blanc Marathon men’s podium with Skyrunning Sky World Champion, Kilian Jornet. There was a battle for the third place. Tom and Zait were chased by Marc Lauenstein, winner of the 2013 Sierra-Zinal, later in the race. Finally, Tom finished third but Marc came just 10 seconds later. The women’s race was led by favorites from Europe and America, Azala Garcia, Elisa Desco, Megan Kimmel, Stevie Kremer, Kasie Enman, and more. After they passed le Tour (28k), three women, Elisa, Megan, and Stevie, started to increase their pace and leave the others behind. Elisa managed the wet downhill from La Flégère well and secured her win. She finished in 3:53 and won the race. Two Americans, Megan Kimmel and Stevie Kremer, followed as second and third finishers. On the podium, three of the top-five women were Americans, Megan, Stevie, and Kasie. The Mont-Blanc Marathon women’s podium, with Skyrunning Sky World Champion, Elisa Desco.